Yesteryears' star Rishi Kapoor is happy that South Africa is playing host to a retrospective of his films, but feels sad that he is not getting recognition in his own country. "I've not been recognised as an actor in my own country. From 16 September, South Africa hosted a retrospective of my films to celebrate the 150 years since the first Indian went to South Africa," said Rishi. His "Bobby", "Karz", "Chandni", "Laila-Majnu", "Prem Rog", "Luck By Chance", "Love Aaj Kal", and "Chintuji" were screened during the retrospective. "They've chosen eight of my films. I don't entirely approve of their choice... I'd have liked films like 'Damini', 'Amar Akbar Anthony', 'Hum Kissi Se Kam Nahin' and 'Doosra Aadmi' to be shown. "I feel so dejected when I see other actors far more junior than me being recognised by the Indian government for their work. I'm being recognised in various parts of the world... but not in my own country." 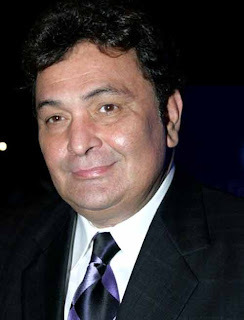 Rishi's wife Neetu couldn't accompany him to South Africa. "Ranbir has just returned from Prague after a month. Neetu needs to spend time with him. We can't leave him alone at home," he said. Rishi misses roles being written for him the way they are for Amitabh Bachchan. "Amitabh Bachchan is an enigma. He is an industry by himself. With the multiplex culture, I'm finally getting roles that I like, especially 'Do Dooni Char' and 'Patiala House'. I don't want to do any of those stereotypical father's roles." As for reviving the once-illustrious R.K. Banner, Rishi sighed: "I'm one-third guilty. My two brothers are equally responsible. I am not sitting idle at home. I'm very busy as an actor. I started acting from the age of 15 in 'Mera Naam Joker'. For 25 consecutive years, I worked as romantic hero. Then I almost immediately directed 'Aa Ab Laut Chalen'. Then immediately after that started my journey playing older roles with 'Kuch Khatti Kuch Meethi'. "I've been working almost non-stop for 42 years. Hang up the boots? I enjoy my work. I'm very passionate about my work. If I don't work, I'll go into depression." Rishi is very excited about being paired with his wife in director Habib Faizal's "Do Dooni Char. "I loved the director. He dared to cast me as the hero. When Habib narrated the story to me, I asked him which role he wanted me for. When he said it was a maths professor's role, I protested saying I wasn't saleable and that he should take Ranbir. Habib stumped me by replying, 'My protagonist is 54. Does Ranbir look that old to you?' He said my star is my script. "It's a very touching story of a teacher who gives so much knowledge to the world, and his struggle to buy a car." Habib then suggested Neetu for the female lead. "He suggested my old colleague Juhi Chawla. But she turned down the role because she didn't want to play mother to a 15-year-old boy. One evening I told Neetu about the film. She said, 'Are you mad? I haven't acted for 30 years. Just because I agreed to do one shot in 'Love Aaj Kal', 'tum peeche pad gaye'. "I reasoned with her. 'Ranbir and Riddhima have their own lives now. Do this film for me, yaar! People want to see us together.' I convinced her to listen to the script. And she agreed immediately. Then I knew this film would work." This film, Rishi stresses, is not Neetu's comeback project. "She'll do the film with Ranbir and me. But that's it. And we two might do a sequel to 'Do Dooni Char'." The last time Rishi and Neetu were together was in "Dhan Daulat" 30 years ago. "We've done 11 films together. I don't consider 'Love Aaj Kal' our film together. But if you do then 'Do Dooni Char' would be our 13th film together. I sure hope that no. 13 proves lucky for me."